You are currently browsing the tag archive for the ‘pie’ tag. 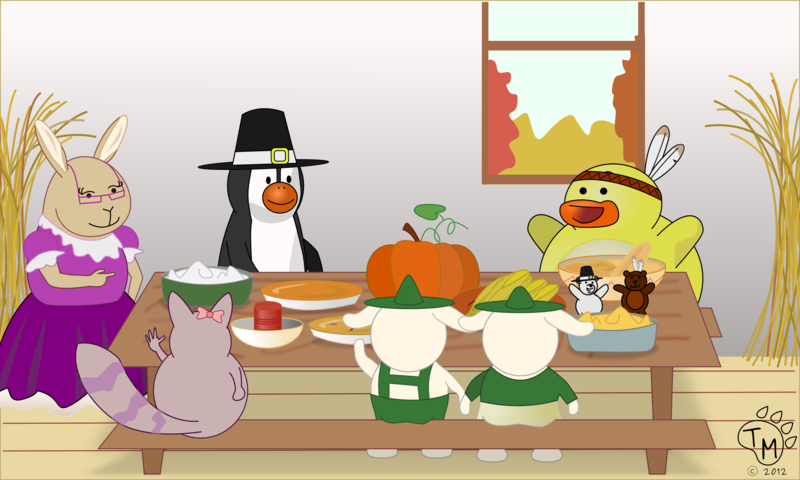 The class gathered around the table to celebrate Thanksgiving. Before they dug in to their delicious meal, they each said what they were thankful for. Ducky and Ted were thankful for friendship and pie. Pembleton and Blizzard were thankful for learning and family. The lambs were thankful for time off of school and polka music. While Mrs. Cottontail was thankful for her health and good students. 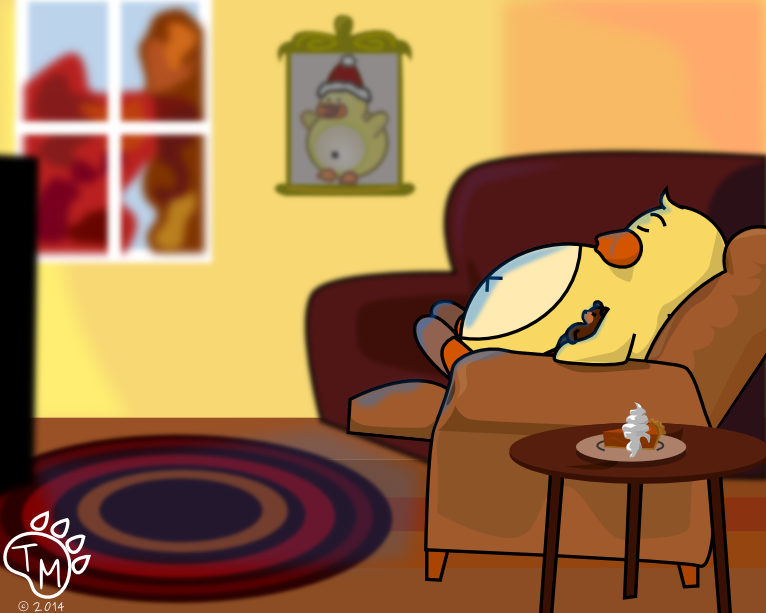 After eating way to much and enjoying many laughs, Ducky and friends were ready for a nap. Fall is one of Ducky’s favorite times of year. He likes the fall leaves, especially the orange and yellow ones. He likes dressing up in costumes and getting free candy. But his favorite part of fall are the desserts! His favorite cookies are Pumpkin spiced and iced cookies by Libby’s and his favorite pie is- you guessed it, Pumpkin Pie! 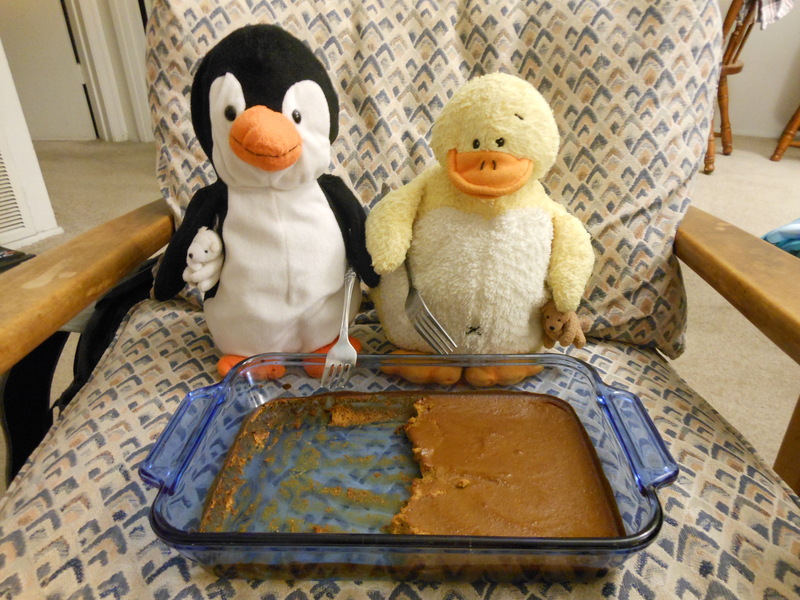 Ducky and Pembleton enjoying Pumpkin Pie!